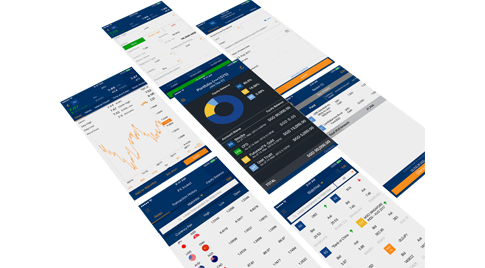 With access to 9 global exchanges (SGX, NYSE, NYSE-MKT, NASDAQ, LSE, TSE, Bursa, HKEx, SSE-A), you can trade Equities, CFDs, Unit Trusts, Futures and Forex with just a single login. Now that watchlists are double in size and no longer limited, you can build a multi-asset, multi-market watchlist that comprises of your favourite counters. Note: POEMS Mobile 2.0 watchlist is synchronised with your POEMS 2.0. Editing your watchlist in POEMS 2.0 will affect your POEMS Mobile 2.0 watchlist and vice versa). 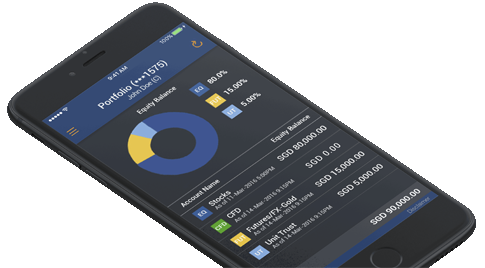 With one login, you can access your Portfolio, Outstanding Positions and Transaction History. At one glance, you can now see how much you are invested in Equities, CFDs, Unit Trusts and other financial products. 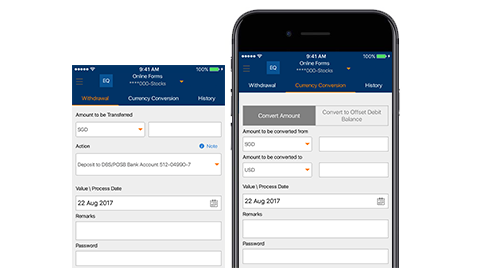 Now you can access the Withdrawal and Currency Conversion forms through the app. Submit your request on the go and keep track of all your history with one click. All forms submission are synced with POEMS 2.0 Desktop Interface. 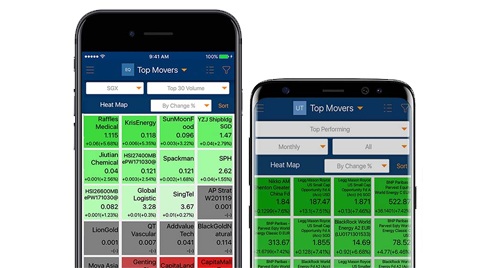 The first local broker to offer mobile heatmap for global exchanges and top performing funds. With Top Movers, you can identify and track daily performance of market movement for Equities and Unit Trusts. 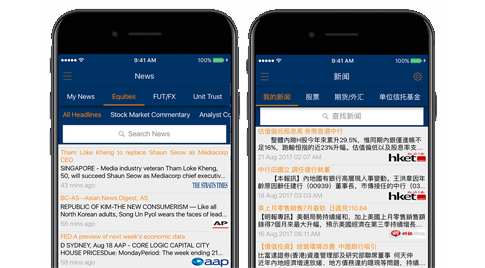 Build your personalized newsfeed* from a wide range of news sources and receive news according to your preferred counters in Watchlists. 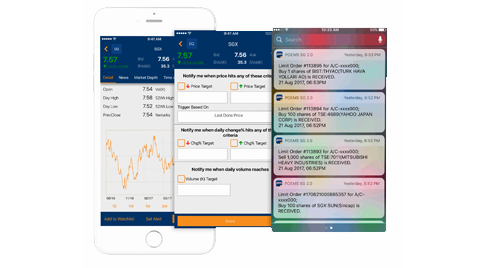 Be alerted to market movement, order statuses, promotions and account-related transactions anywhere you are. *All depictions of trades by the image are for illustrative purposes only and not a recommendation to buy or sell any particular financial instrument.